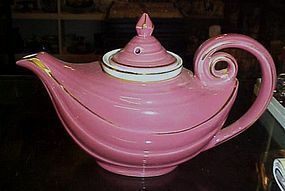 Rare 1940's Hall Rose Pink Aladdin Teapot with original strainer. Gold trim highlights the beautiful color, very Lovely and the gold is perfect. 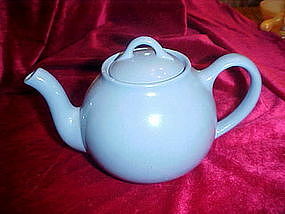 Has a very small chip on the spout that is barely noticeable. I will email you a detailed picture if you like of the tiny spot. 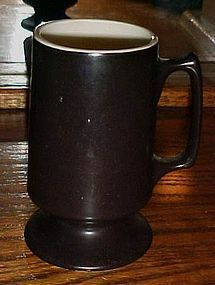 Hall Pedestal Mug In a Dark Brown Color Measures Approx. 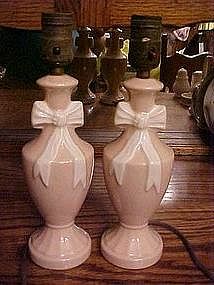 5.25 Inches Tall Stamped Hall, Made in USA, 1873 Some Slight Glaze Pops, Manufacturing Flaws etc. 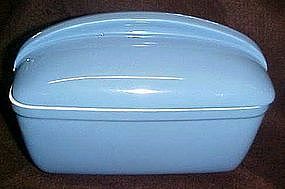 Otherwise Item is in very nice Condition No Chips or Cracks. I have 3 available, and price is per mug. 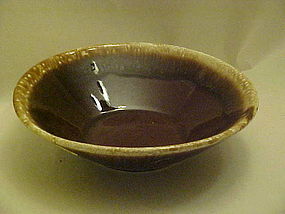 Large brown mirror drip serving bowl 8 3/4"
Nice large size brown mirror drip bowl measures 8 3/4 at the top. 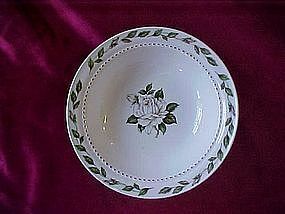 Bowl tapers down toward the bottom. 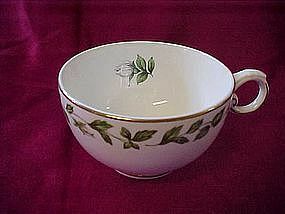 Not marked but will go nicely with any Hall or Pfaltzgraff. 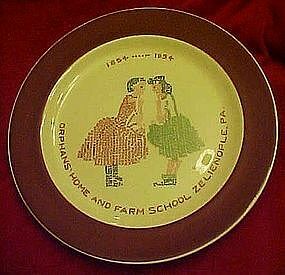 Very nice condition, with a few minor utensil marks. No chips or cracks. 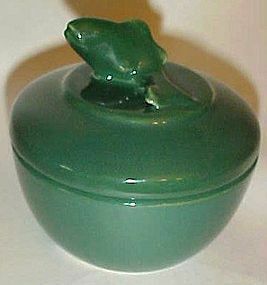 I have 2 available, and price is per bowl. Hall China, East Liverpool, Ohio. 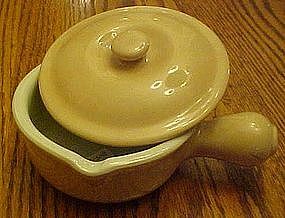 Glazed tan and white, number 644 covered individual size casseroles. Marked Hall in a curved square. 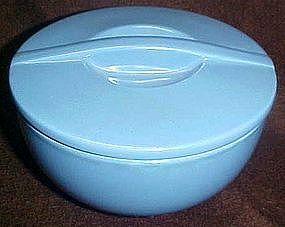 These casseroles have a pouring lip in addition to the cover. In good condition with no chips, cracks, or repairs. 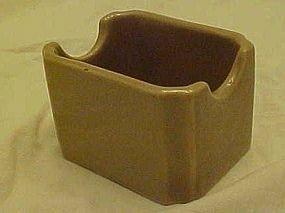 3 inches tall and 6 inches wide including the handle. Restaurant grade weight. Price is for each. I have 3. 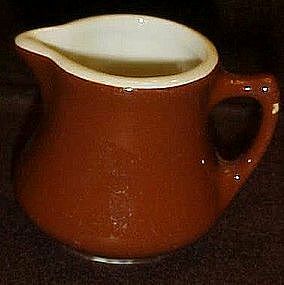 Small brown creamer made by HALL USA. 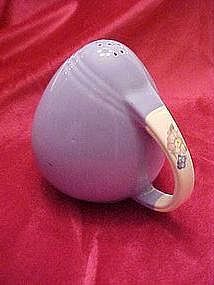 Measures 2 5/8" tall. White inside and a pretty chocolate brown on the outside. 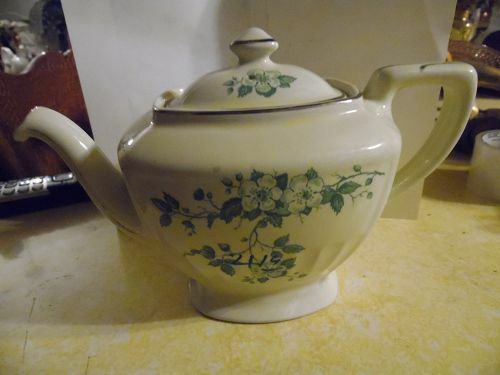 Perfect condition but there is a small glaze skip on the handle where the white shows through..